FBI WAS WARNED, FAILED TO ACT—Warned about what? Cruz’s former classmates thought they were having another drill Wednesday afternoon when a fire alarm sounded, requiring them to file out of their classrooms. That’s when Cruz, equipped with a gas mask, smoke grenades and multiple magazines of ammunition, opened fire with a semi-automatic weapon, killing 17 people and sending hundreds of students fleeing into the streets. It was the nation’s deadliest school shooting since a gunman attacked an elementary school in Newtown, Connecticut, more than five years ago. Cruz was captured not long after Wednesday’s attack in Florida; Michael Nembhard was sitting in his garage on a cul-de-sac when he saw a young man in a burgundy shirt walking down the street. In an instant, a police cruiser pulled up, and officers jumped out with guns drawn. Cruz’s mother Lynda Cruz died of pneumonia on Nov. 1 neighbors, friends and family members said, according to the Sun Sentinel. Cruz and her husband, who died of a heart attack several years ago, adopted Nikolas and his biological brother, Zachary, after the couple moved from Long Island in New York to Broward County. 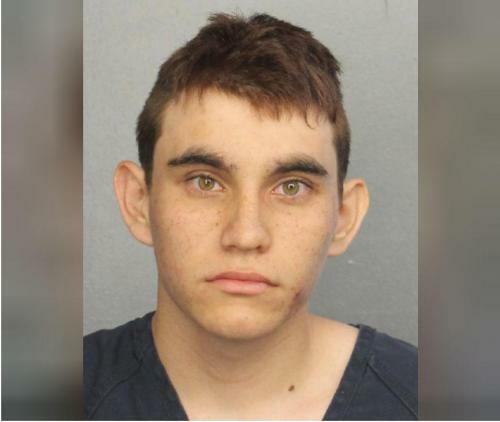 Unhappy there, Nikolas Cruz asked to move in with a friend’s family in northwest Broward. The family agreed and Cruz moved in around Thanksgiving. According to the family’s lawyer, who did not identify them, they knew that Cruz owned the AR-15 but made him keep it locked up in a cabinet. He did have the key, however. According to the Daily News, Cruz legally bought the AR-15 he used to wage war on innocents at his former school, according to an attorney for the family with which he lived. “It was his gun,” family lawyer Jim Lewis said. “The family made him keep it in a locked gun cabinet in the house but he had a key.” Lewis added that the family is devastated and didn’t see this coming. They are cooperating with authorities, he said. Last fall, a Mississippi bail bondsman and frequent YouTube vlogger noticed an alarming comment left on one of his videos. “I’m going to be a professional school shooter,” said a user named Nikolas Cruz. The YouTuber, 36-year-old Ben Bennight, alerted the FBI, emailing a screenshot of the comment to the bureau’s tips account. He also flagged the comment to YouTube, which removed it from the video. Agents with the bureau’s Mississippi field office got back to him “immediately,” Bennight said, and conducted an in-person interview the following day, on Sept. 25. But around 4:30 p.m. on Wednesday — about 30 minutes after Cruz was taken into custody by police in Broward County — Special Agent Ryan Furr with the FBI’s Miami field office called Bennight and left him a voicemail. When contacted by BuzzFeed News, FBI special agent Furr declined to comment on the call, and directed questions about the shooting to the FBI’s public affairs office. The office did did not respond to multiple calls or emails Wednesday night. The Nikolas Cruz YouTube account remained active until Wednesday evening. It has since been deleted, however, due to “multiple or severe violations of YouTube’s policy on violence.” YouTube did not immediately respond to BuzzFeed News’ questions about the account.